Praise God in the heights. Praise God all his angels; praise him all his host! Hymn TIS 210 "O for a thousand tongues to sing" This hymn gives us all the opportunity to praise God with every ounce of air we can expel from our lungs. Of course, even that does not do justice to God's wondrous glory but the individual and group effort certainly filled the church. Jan prayed to our "Creator God, source of power and majesty and glory", worshipping him and adoring him. Her prayer focused our attention on, and alerted us to the cause for our wonder at God's bringing light and order to this world. But more, when we thought of His love for us we were overwhelmed and thankful to the centre of our being. Jan confessed our failure to learn from God's great sacrificial love for us and for sometimes attaching status to being redeemed instead of being humbly thankful for that great work in us which we have in no way earned. "Forgive us when selfish pursuit of glory takes precedence over Jesus' command to love one another as he has loved us." God makes all things new. Anyone who is in Christ is a new creation! Offering We offered a little of God's bounteous blessings to us back for His work in spreading the story of his great love for us. Anzac Remembrance Those who wished, took tokens of remembrance and twigs of Rosemary to the front of the church as a sign of the significance of the day to them. Remembrance Prayer ​Jan then prayed a Remembrance prayer, remembering the great sacrifice made by men and women, some not much more than boys and girls, made in the cause of peace in the world for us. Hymn TIS 586 "Abide with me" A hymn of amazing comfort and calmness. Bible Readings Stephen brought the readings to us: Revelation 21:1-6 A prophecy of enormous hope: "and God himself will be with them; and he will wipe every tear from their eyes." John 13:31-35 ​We really didn't need any other instruction than this: "I give you a new commandment, that you love one another. Just as I have loved you, you also should love one another. By this everyone will know that you are my disciples." Sermon "The Power of Love" Jan introduced her message by referring to the theme of the Synod gathering: "Come Holy Spirit, renew our hearts." We are so aware of our unworthiness, and because of that, are amazed at God's great generosity to us. He meets us in our need and comes to us when we are in crisis. We see this God in the person of Jesus Christ, who came to live among us. God's renewing love moves us away from ourselves to God...to value all that we have and who we are. It enables us to appreciate the life that we have. People from all over the state met, listening to the stories of each other, and to what God was doing in the church. The gospel is aimed at the whole Christian family and that played out in the hymn and prayers, as well as in the message: He loved us even though that meant suffering an agonizing death. How sacrificial are we in our love for our fellow humans of the rest of creation? Jan spoke about so much more, including the idea that God's love can be a tough love, which can't be avoided. Changing from our selfish selves to the selves God wants us to be isn't an easy process. We feel the pain as the changes happen. God's powerful love calls us to be a part of God's plan to bring about a new order. Hymn TIS 699 "A new Commandment I give unto you" By singing this hymn and repeating it, we affirmed our belief to ourselves and to each other that this is the basis of the relationship between us. Musical interlude before prayer As we considered the things in our hearts, today. Prayers of Intercession Noelene prayed that we would indeed show our love for one another and that the hungry and displaced would receive God's blessing through the compassionate works of other people in the world. She prayed that our government leaders will do what is best for our country and that the leaders of the Uniting Church will look to God for guidance. She prayed that our loved ones will find comfort and peace; that those suffering from depression will find relief. Noelene prayed for Jan as she leads us and that through her we will attune our hearts and minds to God's Word. 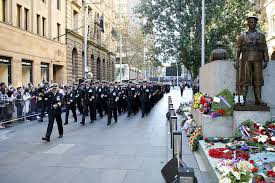 Finally, she prayed for those connected in any ask with the ANZAC story and those serving overseas at the moment. Hymn TIS 459 "In Christ there is no east or west"
Blessing May the Peace of God that passes all understanding, keep your hearts and minds in the knowledge and love of God and may the blessing of God the Father, Son and Holy Spirit be with you and remain with you always. Blessing Song Hymn TIS 779 "May the feet of God walk with you." The expression of the love that Jesus directed us to have for each other. A lovely way to part from each other. Richie led us: Let us celebrate: Christ has died. Christ is risen. Christ will come again. Hymn TIS 111 'Praise to the Lord, the Almighty, the King of Creation" I think the lyricist searched for every word of praise he could think of for the One who delivers us from every human situation we encounter that lessens us, and gifts us with all those situations that raise us above our baseness. It is good to give thanks to the Lord, to sing praises to your name, O Most High. For you, O Lord, have made me glad by your work: at the works of your hands I sing for joy. We praise God for His greatness and ask forgiveness for those things we have done that we should not have done and for those things we have not done that we should have done. Loving God, please forgive our shortcomings - we have strayed like lost sheep. Have mercy on us. and walk humbly with you, to the glory of your name. Amen. though they are red as crimson, they shall be like wool. Thanks be to God. Hymn TIS 10 "The Lord’s my shepherd, I’ll not want" The quiet confidence of this psalm always calms me. The singing today was enriched by those who could, as they broke into their parts, creating a tapestry of sound. Amen. John 10:22-30 We are promised that we will know him because we are his sheep and he our shepherd. Revelation 7:9-17 A vision of the splendour of what is to come. But remember - it will be so much more; so much more. Richie began with the important idea that no matter how much we speculate about the afterlife, we do not have the capacity to imagine what it will be like, at all. It's beyond our understanding. We do know from scripture that our deepest longings will be fulfilled and all our problems and fears will disappear. It is a place where love and joy will reign forever. Richie then directed our attention to scriptural references to great throngs praising God. Throngs made up of every sort of people - different tribes with different languages. We should keep that in mind when we are thinking about modern situations of people moving backwards and forwards across the world. We often feel very defensive when people who speak different languages and who have different customs come to live nearby but remember that we are all promised a place in the afterlife. Paul promised: "we will be changed - in a flash, in the twinkling of an eye, at the last trumpet. For the trumpet will sound, the dead will be raised imperishable, and we shall be changed. (1 Corinth.15: 51-52). Remember, this is Paul's vision and we know that we really can't imagine what will happen. But whatever does happen, biblical authors are confident that it will be an experience will be better than anything we can imagine: "how wonderful - and awe inspiring - it will be in the presence of God" where we will perfectly know and be known by God. We cannot possibly know anything about the overall appearance or any of the details of the afterlife but because of his Earthly experience of God in his heart and head, Paul was sure: "For I am convinced that neither death nor life, nor angels, nor rulers, nor things present, nor things to come, nor powers, nor height, nor depth, nor anything else in all creation, will able to separate us from the life of God in Christ Jesus our Lord." Romans 8: 38-39 NRSV. Hymn TIS 228 "Crown him with many crowns" Another human trying to give praise to God for every aspect of life that we encounter. God is always there for us. Always. Offertory We returned to God a little of his magnificent blessings to us and prayed that they will be used to spread the message of His great love. Musical Item The trio of Stephen, Malcolm and Grahame brought out attention anew to the message of the hymn "Guide me O Thou Great Jehovah" by their delivery in a less familiar, but very beautiful Welsh tune. Musical meditation While we listened for God's voice. Richie addressed our God: Almighty and Eternal Father, whose goodness and grace overflow. May you continue to bless us with your grace. Richie then prayed for people whose lives had reduced them to so much less than God intends. He prayed for the addicted, those exposed to the hostilities and famine that are destroying our beautiful planet, homes and precious people. He raised up those that mourn. He asked for God's blessing on our church and those that lead us. Those who are undergoing treatment and for those who care for them. Hymn TIS 209 "And can it be that I should gain" Amazed that the Almighty God could reach out to us, who deserve nothing, and offer us everything. Amen. Benediction Father of all, we thank you that when we were still far off you met us in your Son. May we glimpse Christ's risen life and may you keep us firm in the hope you have set before us. Call to Worship: This morning Jan’s call to Worship came from Psalm 30: You turned my wailing into dancing; you removed my sackcloth and clothed me with joy, that my heart may sing your praises and not be silent. Lord my God, I will praise you forever. Hymn TiS 477: Jesus calls us here to meet Him. This hymn is written by John L. Bell and Graham Maule who are members of the Iona Community Resource Group who have collaborated on a number of songs. John Bell is a Church of Scotland minister, a broadcaster, and former student activist who is concerned with the renewal of congregational worship at the grass roots level. Graham Maule who studied architecture, became a youth worker and developed an interest in worship renewal, including lay involvement in worship. Prayers of Praise and Thanksgiving: Jan began by acknowledgement of our great trust of the Gospel and the new hope which comes with every new day. Also she prayed about our thanks for the risen Lord and the hospitality of love and forgiveness in our lives. The prayer continued, asking for forgiveness for retreating in the face of adversity and for living our lives as if they were small. We asked God for the courage to step into the abundant lives He has planned for us. Elaine delivered our Bible readings this morning. Once again the reading from John is a familiar story about Simon Peter who denied knowing Jesus three times and was asked three times by the resurrected Jesus; “Do you love me?” This surely invites us to tell God through prayer and our actions - that we do indeed love Him and that we are also willing to follow Him. I find the Book of Revelation challenging as it takes such cautious thought to even try to untangle the imagery - and in the end, as so many have tried before me to unravel the meanings and nobody can really agree, it is comforting to simply take away the message that “God is in control!” Revelation was written as a letter to be circulated among the Christian churches at seven important cities in Asia Minor where there had been several waves of persecutions of Christians by Roman authorities. The vision John received offered encouragement and assurance to persecuted Christians about God’s overarching hand being in control with a vision that God would eventually completely destroy the forces of evil (the Roman Empire). I like this idea and it helps me to understand the reason for reading from the Book of Revelation at funeral services - when we like to trust that our loved ones will not have suffered in vain. This morning we welcomed a missionary from the Jews for Jesus Australia organisation, which is part of an international organisation of Jewish people who believe that Jesus is the Messiah and Saviour of the world. Rahel is an Israeli woman who greeted us; “Shalom – Peace be with you”. She told us that like many Jews she loves to travel although she does not wish to be like those Jews who travelled through the desert for 40 years! 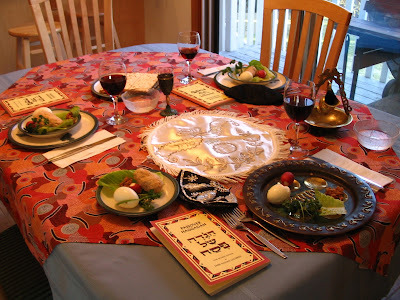 She explained many of the mysteries and traditions of the Jewish Faith and her Jewish Heritage and laid out a table with all the traditional elements of the Passover Meal for us to see. The passion for the Jews for Jesus is to banish the Jewish notion that “Jesus is for everyone else.” The question they ask is; “If Gentiles can stay Gentiles and believe in Jesus and be saved from their sins and Jesus was Jewish, why can’t Jews also share in the gift of ‘the words of life’ and see that God is into details. He is God of everything and he cares about us and every detail of our life.” Rahel read to us from Luke 22: Verses 7, 8 and 13 Page 804 which describes the preparations for the Passover for which Jesus gave detailed instructions to Peter and John. Rahel showed humour as she told of the frenzy of cleaning that prepares the family home for the Passover meal and the kindness of the wives, who hide a small amount of leaven in an easy to find place each year, for the husband to find it for the final cleansing of the house for the seven day feast of unleavened bread. He does this with a wooden spoon and a feather and burns the remaining leaven in a fire. The belief is that this ingredient puffs up the bread – like people are puffed up with sin. 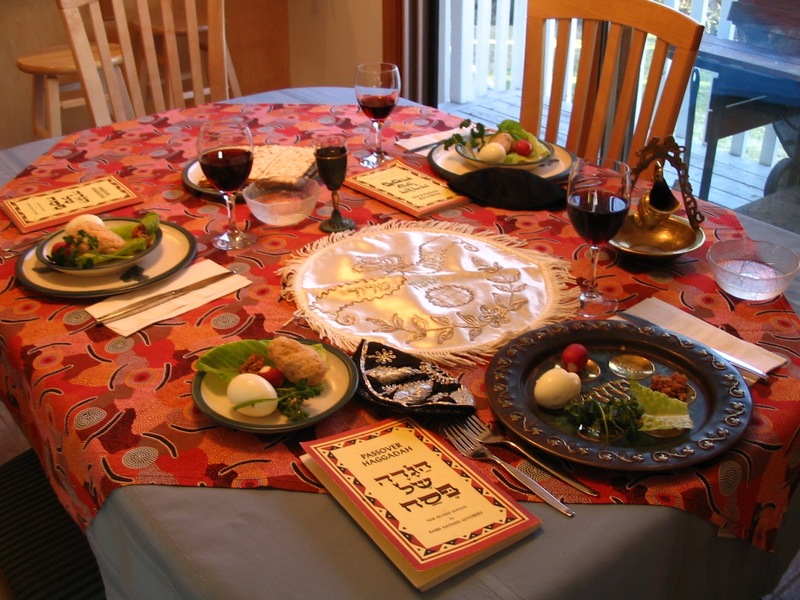 We were interested to learn about the Passover Seder table which had been set out at the front of the church, showing the traditional arrangement of six symbolic foods on the Sedar plate. These were two bitter herbs, horseradish and romaine lettuce to make you cry as a symbol that life is bitter without redemption; a sweet brown pebbly paste of fruits and nuts that were made into a mortar by for building (by the enslaved Jews) as a symbol to show that hard labour makes life sweeter; and a vegetable like parsley, celery or potato to be dipped in salt water to indicate that life is dipped in tears. There was also an onion, symbolic of the root of life and an egg to be roasted over a candle and dipped in water before eating, to represent new life; and a shank of lamb to remind the family that sacrifices are no longer offered. It was challenging to keep up with the stories of the history of this Jewish celebration and the enthusiasm of our speaker. However, I understood that the main message of the day was that God never changes – he is the same, yesterday, today and tomorrow and although God doesn’t need us it is exciting to remember that he chooses to work with us and we should work to encourage everyone to accept Jesus. ten thousand thousand are their tongues, but all their joys are one. Isaac Watts was born in 1674. He showed great promise as a writer and went to London at 16 to study in the Academy of the Rev. Thomas Rowe, an Independent minister. In 1698, he became assistant minister of the Independent Church, Berry St., London and four years later became pastor. The published hymns of Isaac Watts are much loved and number more than eight hundred. He died in November 1748, and was buried at Bunhill Fields, London. Offering: The offering was taken by Nerida and Alan with help from Oliver and a prayer was said by Jan.
Prayers for the People: After a short musical interlude played by Grahame and the quiet reflection time to consider our own special needs and concerns for others, Jan prayed for all who have not experienced God’s love and grace in their lives, for those who are sick or in need, and specially for the people in Fiji and Vanuatu at this difficult time. She prayed for all those people who as yet have not encountered Jesus or grown to love Him. had us leaving the church with thoughts of Rahel’s greeting of “Peace be with you”. Praise God in the centre of God’s glorious creation. Praise God here in this moment. Praise God with every breath. Praise God in every life. Hymn TIS 392 “At the dawning of salvation” It is Jesus, alive within us, that makes anything of this world count for nothing. Prayers of Praise and Thanksgiving Jan thanked God for his love which never ends despite our doubts and confusion. She acknowledged how we have been too frightened to make a stand for our beliefs and gave thanks that we are given strength to speak out. Prayer of Confession Jan asked for God's mercy for the many times we fail Him and cause others to fail Him. Words of Assurance Hear then Christ's words of grace: our sins are forgiven. Offering There isn't any possibility of us returning to God anything like the blessings we have been given but it does our souls good to do a little, at least. Hymn TIS 538 “Feed us now, bread of life”. As this bread and wine becomes part of our body may God's spirit infuse us with His love for others. 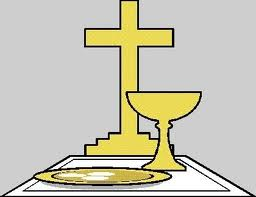 Holy Communion – Iona liturgy This is a wonderful liturgy which welcomes all who seek to belong, to share at the table. I have been thinking about sacraments in recent days and their ability to do something at an inner level through our participation in an experience that speaks to our senses. As Jan held up the bread we were directed to think about how Jesus was prepared to walk to his death rather than deny his story of redemption for us all. And that is one part of a much bigger liturgy. We can leave so enriched if we fully accept the invitation of this service. Hymn TIS 382 “Now the green blade rises” When our souls feel a deadening within, may God's spirit raise us up to new life. Bible Readings Kaye read to us: ​Acts 5:27-32. Those of us who have doubts about the facts of the Easter story are left to think deeply about events such as these. We know the story of Jesus and his crucifixion because the disciples came out of hiding and proclaimed it, despite the danger to themselves. Would they have left themselves open to terrible deaths for anything less than to truth? On the other hand, are we reading these stories in the spirit they were written? ​​John 20:19-31​​​ Again, there are people who find these stories difficult but whatever happened, changed the lives of these people irrevocably. It does it today too. Sermon ‘Close encounters with Jesus’, transform us with joy and power. Jan led us into her reflection with a reference to the "Life be in it." campaign and its star, Norm. It was a call to look at our lives and think about how we should change them. 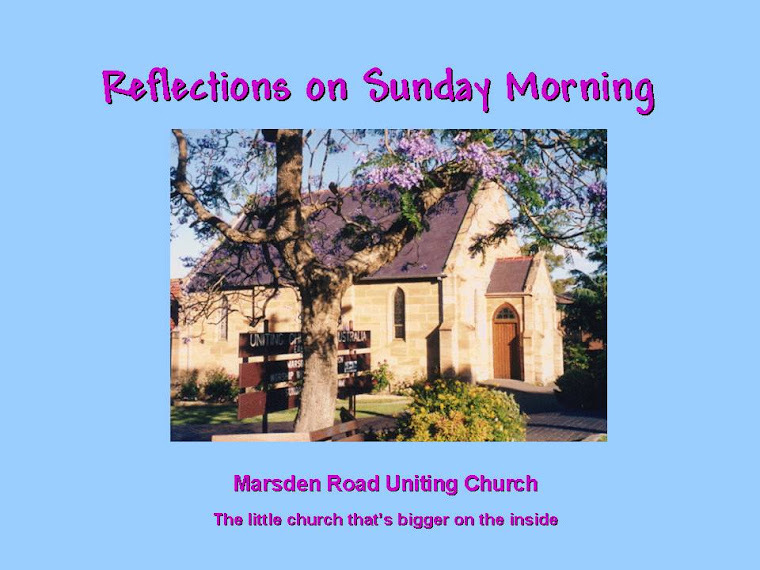 Jan then suggested that Easter is a time to reflect on our lives and what really matters to us. Are we attending to the spiritual dimension of our lives? Jan then exhorted us: Eternal life - be in it - now! Be loved and cared for by our creator! Have purpose and fulfillment, living life to the full through service to others in God's name. So you don't feel capable? Look at the people Jesus chose. They couldn't be more ordinary. The new life we are offered has many aspects to it. The line of the hymn that comes to my mind every time because it is the line that pulled me up in my tracks. "Ransomed, healed restored, forgiven. If we are all of those, who cares about our car or boat or our clothes or our ability to travel the world! Life, be in it! Musical interlude before prayers While we're given time for private concerns. Prayers of Intercession – Laurel prayed, being mindful of our blessings especially those of the Spirit. She prayed for others in the world, about who we know so much more because of modern technology. We cannot ignore the plight of other people whose lives are brought to us in such reality and we ask that we be made aware of how we can relieve their burdens. She prayed for our leadership and went onto raise up those caught up in violence and so, those who work to care for them. Laurel prayed for families and for those who are unemployed as well as those who are facing medical treatment. Hymn TIS 376 ‘I know that my redeemer lives’ Without looking at these words, I know that my redeemer lives because I experience His living Spirit within, enlivening my spirit. May the blessing of the Father, Son and Holy Spirit be amongst you and remain with you. 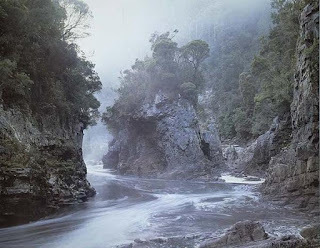 For you, flame red of the rocks and stones For you, sweet water from hidden springs. may the cool winds of the hovering Spirit soothe and replenish you. In the name of Christ. In the name of Christ. 1997 Robin Mann. Words: Julie Perrin.